For those who know me, my obsession with food and nutrition data is well-worn. I’m that guy who snacks on carrots and hummus while trying to preach the merits of thinking about food in terms of nutrient density (seriously though). But while I find food data fascinating, I have long felt I’ve lacked the tools to properly make sense of it in my daily life. There’s important data in these products, but right now it’s not really exposed in any meaningful way. So last year I decided to take matters into my own hands and track every food item I purchased from a grocery store over a number of months. As a designer & programmer that focuses largely on data interactions, I knew that my interactions with my food data bothered me: they seemed limited, shallow, and untouched by new (potentially better) tech-enabled approaches. But I also wasn’t exactly sure what would make it better. So, as a firm believer in designing to solve your own problems first, I started going deep into my own grocery data. Where did my foods come from? Which items were the best sources of nutrients? Were there any nutrients I never really seemed to get enough of? How many of my foods contained GMOs (and would I really care)? Did my food include food additives? And if so, why were they used? And most importantly, how could I communicate all of this in a way that was both visually interesting and personally meaningful, without encroaching into the dreaded land of information overload? Entering in my food data. This became my life for many months. Also, these ice cream sandwiches were delicious. The process of data collection proved tedious. It turns out that much of the data I wanted was not readily available to me as a consumer, particularly the more interesting data points like the locations of the product’s ingredients, indications of the food additives that had been used (and why they had been used), and clearer notes on whether or not GMOs had been used and the associated ramifications (quick note: I’m not strictly anti-GMO, but I do like to know the rationale behind why they’ve been used in my food. See this article for an intelligent take.) For this hard-to-access data, I had to do quite a bit of research to surface it —luckily, it turns out there’s actually pretty nifty ways to figure out where food companies source their ingredients from and whether or not they use GMOs. And when the data was readily available — mainly in the form of the existing food label — I found it quite limited, superficial, and hard to process. Pulling out important points from the current label remains in the realm of the nutritionist, not the casual consumer looking to gain unique insights. 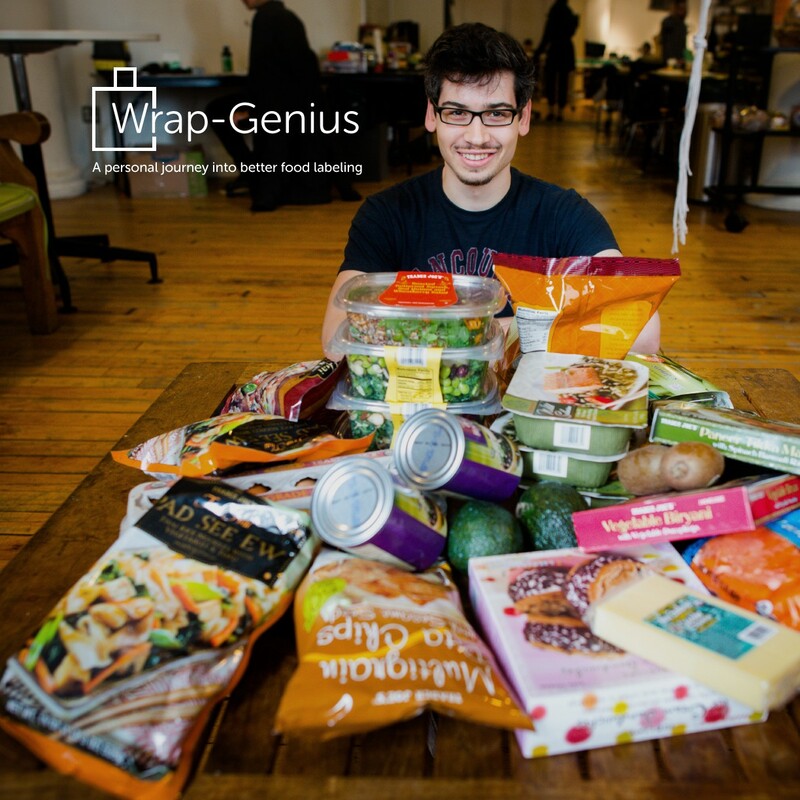 All of this came together as my Master’s thesis project at NYU ITP: WrapGenius: A Personal Journey Into Better Food Labeling. I created dashboard style visualizations to help me make sense of my data. This was an overview dashboard. Where did my food come from? Actually, a lot of places. Shouldn’t locations be part of a new food label? I created a weekly dashboard to give me insights into what I had purchased each week. I unwittingly became a domain expert in food data. 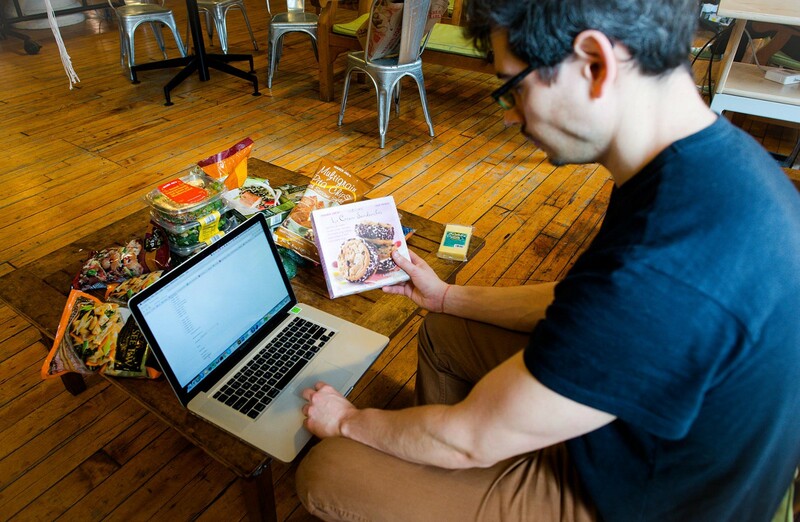 And it turned out that the project struck a chord with many others too: after launching, I received thousands of emails from people communicating their own frustrations with the current state of food data and the existing food label, and encouragement to build out a system that the world could use to better make sense of all this information. Fast forward a few months, and I’m very excited to let the world know that we’ve been working really hard to do just that. 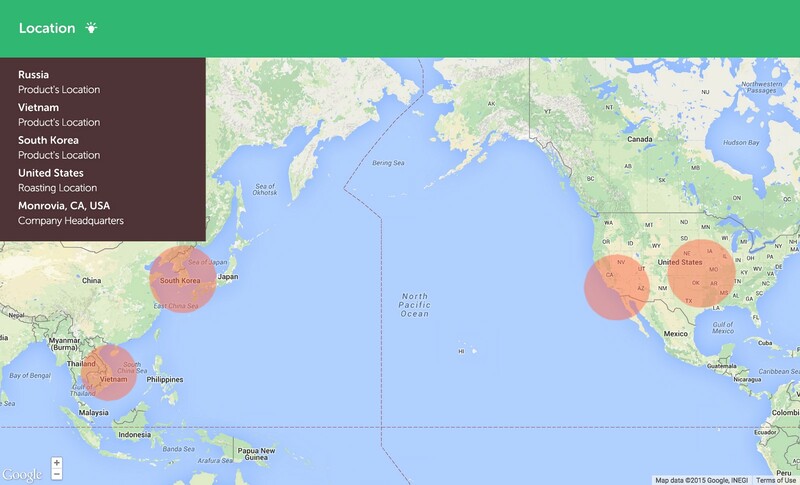 Meet Sage, a smarter food data platform. 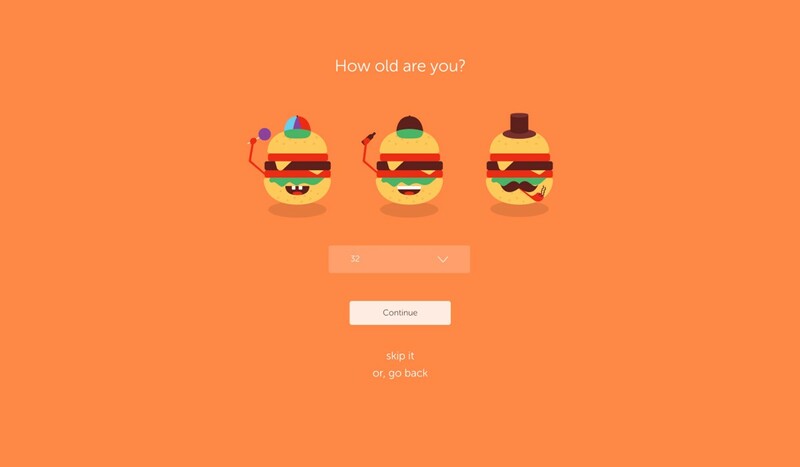 Our initial product is an interactive food label based around personalized design. Sage is a collaboration between designers and dietitians here in New York City. We decided early on to build the system based on a collaboration with dietitians because these are the people who know the most about food data, and have to explain it to average people every single day. They know the pain points better than anyone. 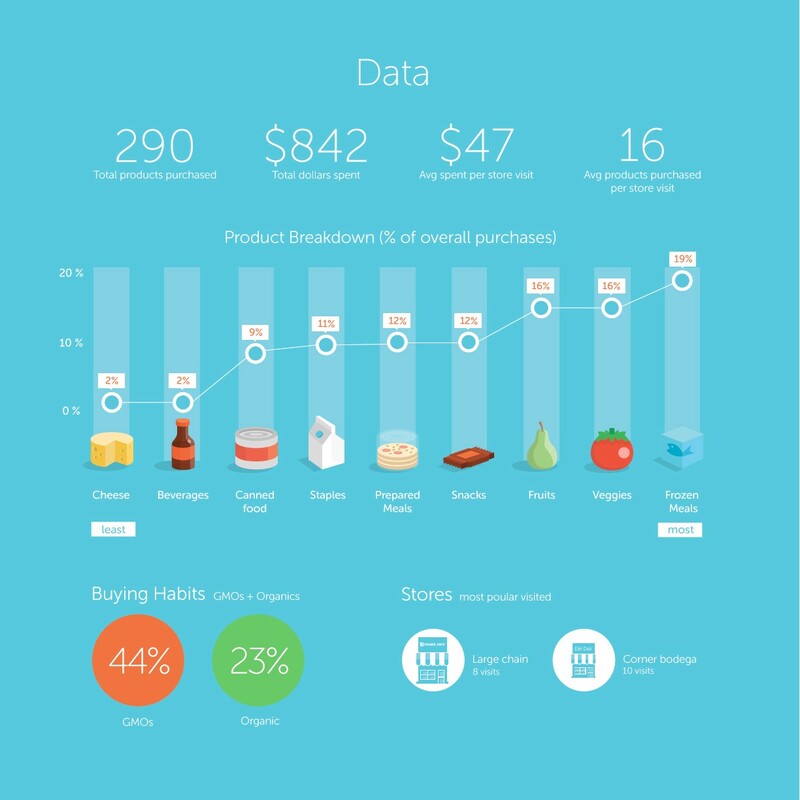 Food data is more transparent — there’s so much interesting data around food, and we believe consumers should have access to it. 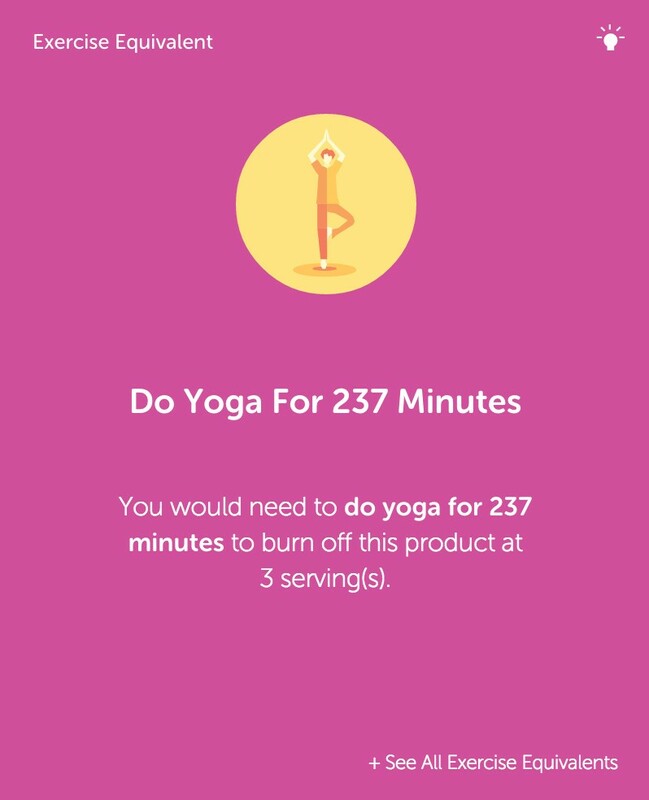 The information on the label becomes personalized to each user’s unique interests and preferences — rather than the outdated one-size-fits-all, 2,000-calorie-diet label. 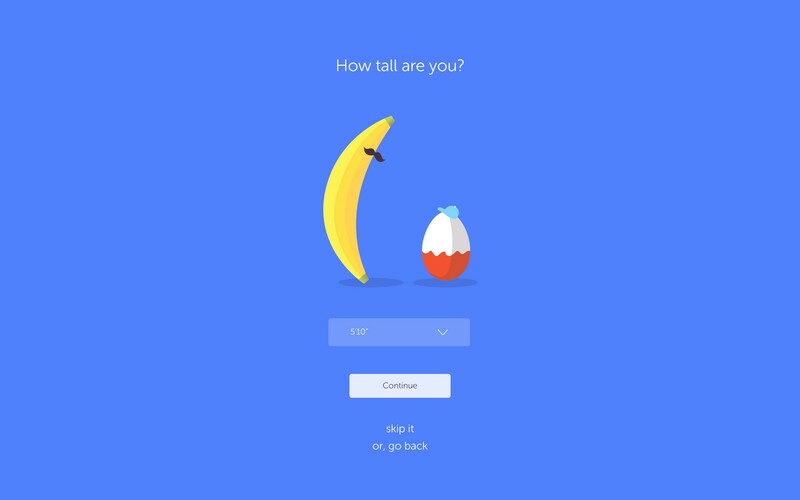 Better visual design helps consumers make sense of it all. And it’s delivered via mobile and the Web, so that it can be tweaked more easily, delivered more dynamically, and is more native to how people access information these days. Sign up and give it a shot. 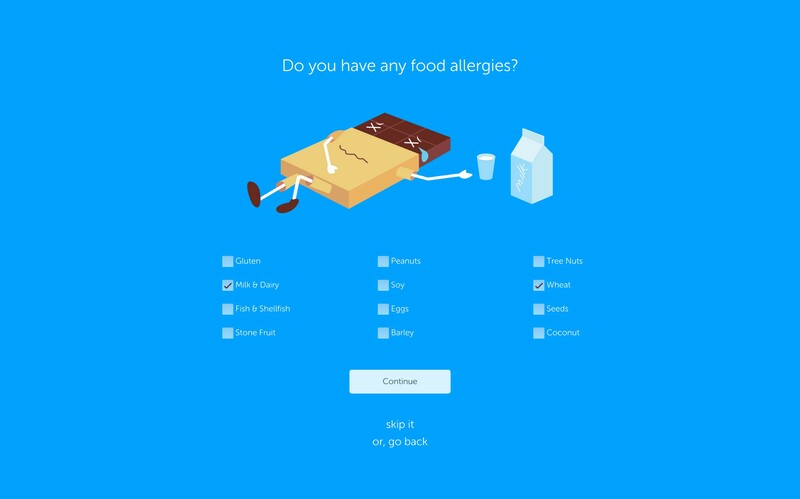 Through the onboarding process, Sage gets to know a bit about you — your unique background, restrictions, and tastes — and then shows you information personalized for you: from your correct nutritional percentages to dietary preferences, food allergies, and more. Understanding serving size is key to understanding nutrition: how much nutrition you’re actually getting depends entirely on the number of servings you eat (and most people rarely eat just one serving). But computing nutrition at different serving sizes proves to be pretty difficult for most people. 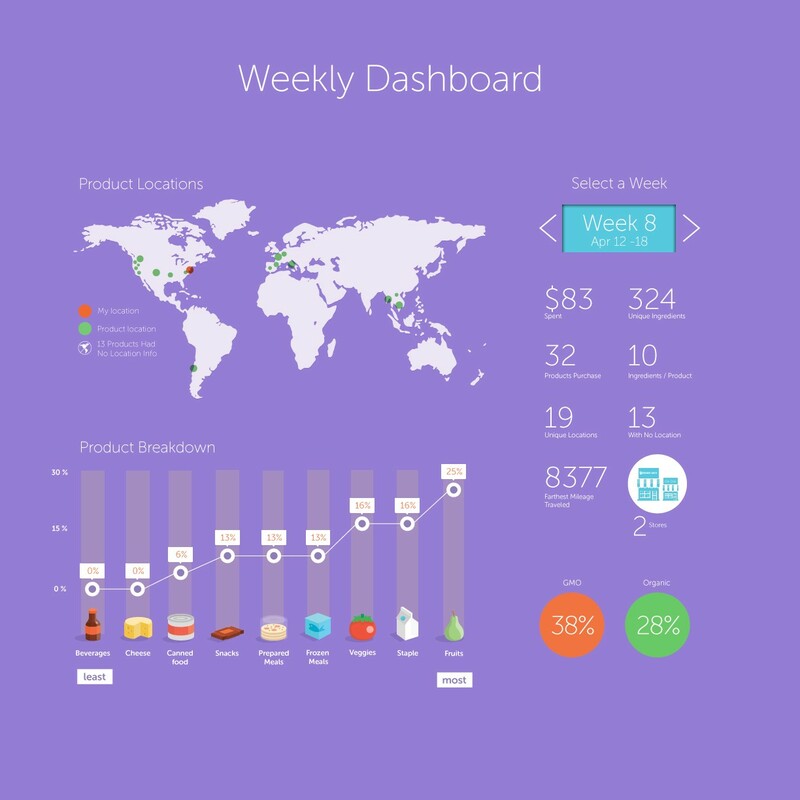 At Sage, you can simply change the serving size for a product and all of our visualizations instantly update to show you the nutrition at that amount. Nutritionists love this feature because it’s key to boosting nutritional literacy. Users can easily see the data at different serving sizes. The existing label is basically a dump of information. Our ‘label’ takes a different approach and categorizes nutrients into three groups: Quick Facts, Avoid Too Much, and Get Enough. Initial research shows this layout to be much easier for consumers to navigate: while the standard label shows Daily Percentage Values for nutrients like fat, sodium, fiber, vitamins, and minerals, the problem is that it doesn’t clearly indicate whether you want these values to be high or low. It assumes that label readers will already have some existing knowledge about which nutrients they should eat more often, and which they should try to reduce. We wanted to make it easier: with the Sage version, consumers immediately know which nutrients to target getting enough of and which nutrients to be careful about having too much. And if certain nutrients go beyond thresholds, we flag them so the consumer can be aware and take a closer look. Nutrients are grouped into sections to make it easier for label readers to navigate. Exercise equivalents answer the question: How long would I need to exercise to burn off this product’s calories? 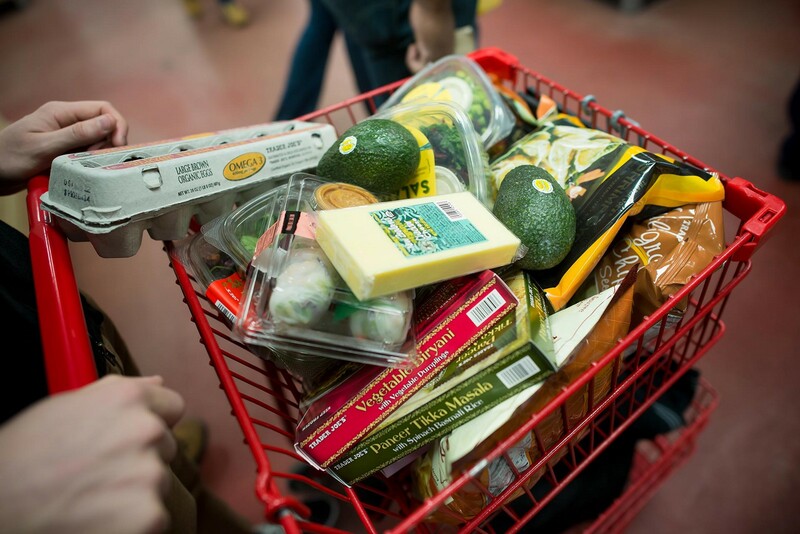 Our initial user research shows this to be one of the more effective ways for an average person to relate to food data and compare product choices. For example, see the exercise equivalents for this popcorn. How much exercise would you have to do to burn off the product? People understand this metric very intuitively. Food additives are becoming increasingly common in everything we eat, yet people don’t really understand them — at all (and there’s a lot of pseudoscience here). When a product employs a food additive as an ingredient, our ‘label’ points it out and highlights it. But it’s important to note that food additives are not necessarily bad. Using the Center for Science in the Public Interest’s list as a starting point, for every product we classify and color code food additives as Safe, Avoid Too Much, Be Careful, and Avoid Entirely. For example, see the ingredient list for this breakfast biscuit. 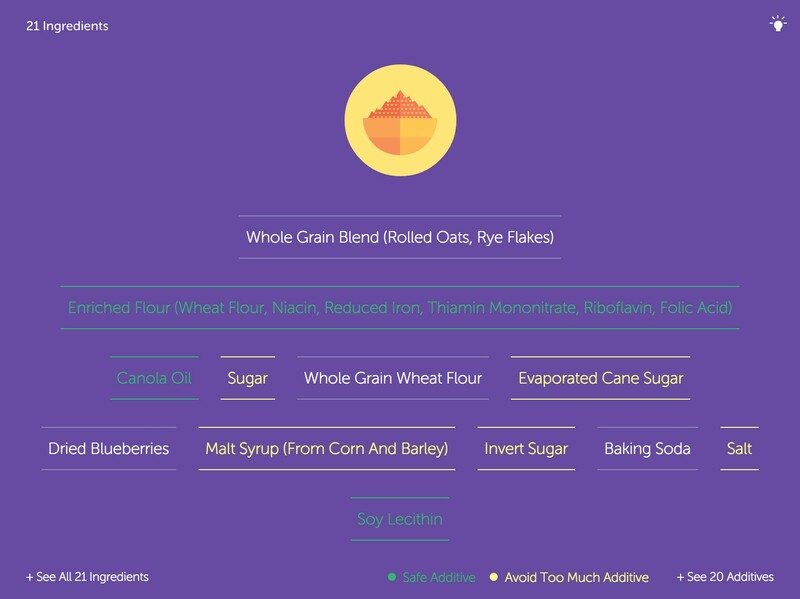 Our ingredient list highlights known food additives and classifies and color codes them. These days, products travel all over the world to get to you and many products employ ingredients that come from many different places. Wouldn’t it be nice if the food label actually showed you where the product comes from: its farm, its manufacturing facility, its distribution center? 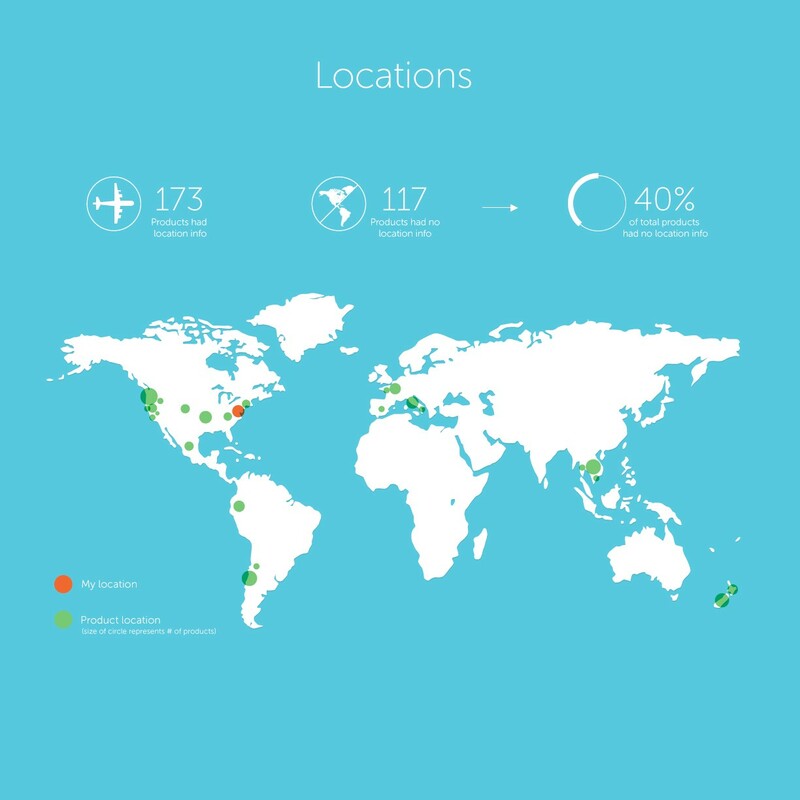 For most products in our system, we show a map that plots these locations. These locations have all been researched and vetted by our community. For example, see these Trader Joe’s leeks and these Pine Nuts. Where do the ingredients come from? We believe this should be part of a new label. These important ratios show 1. how much nutrition a food actually has vis-a-vis its calorie content and 2. how much nutrition you’re actually getting for your money. Every product in our system has been benchmarked from “Low” to “Excellent” for both of these ratios. Inexpensive, nutrient-dense foods like kale and carrots score the highest (and high-caloric-but-nutrient-lacking foods like french fries score the lowest). Nutritionists love these ratios and argue that every food should be looked at under their lens. 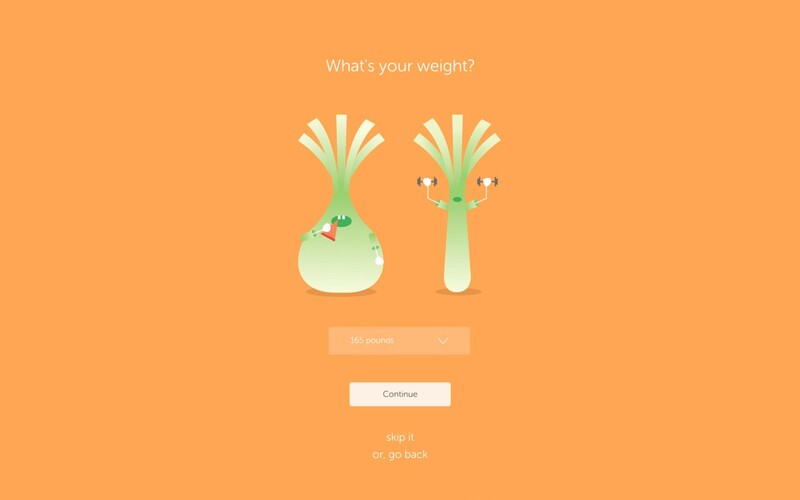 Food data can be a bit tricky because there’s so many different diet types and approaches. For example, someone who is vegan is fundamentally interested in different products than someone who is a paleo crossfitter, and what about if you have Diabetes or are currently pregnant? That’s why we created Collections. Collections let Sage users curate their own boards of products that they recommend for specific uses and diet types. 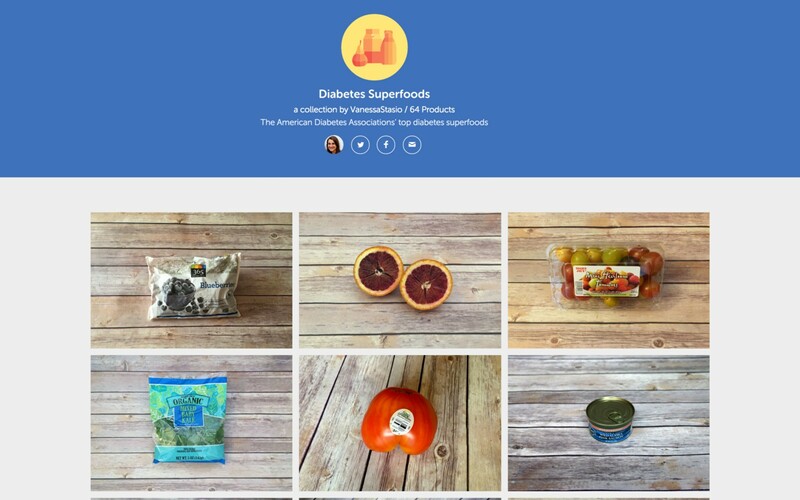 For example, our Beta users (who are a group of dietitians) have created collections like Diabetes Superfoods and Eating Well While Traveling. 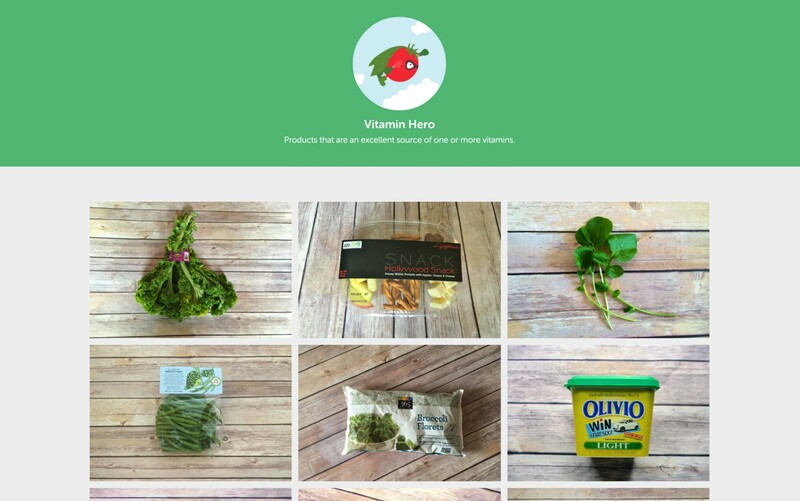 Collections let users curate their own lists of products for specific diet types and use cases. Sage groups products into badges based along specific data criteria. For example, all products that are heart healthy, a good source of 1 or more vitamin, a good source of dietary fiber, great for bone health, and many more. These are all data-driven and reviewed by dietitians. Our goal is to give people easier and more human ways to think about and explore products. Badges are assigned to products based on specific data criteria. 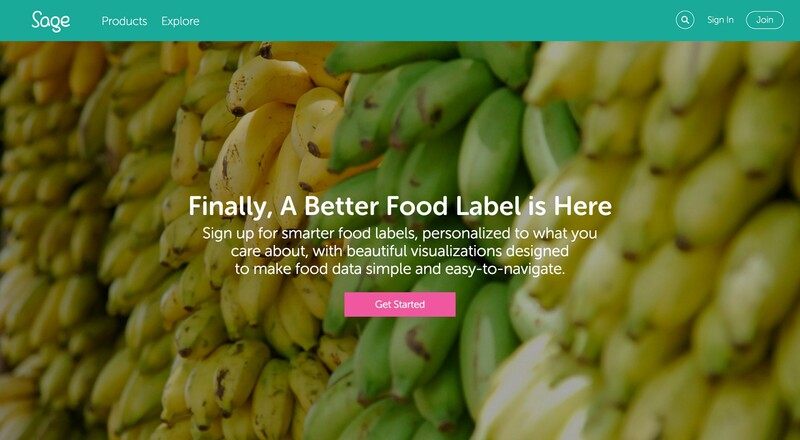 We started Sage out of our frustration with the existing food data & food labeling system. Traditionally, food labels have been confusing (nutritional literacy based on the standard label is super low), poorly designed, uninteresting, and have not given consumers all the information that they increasingly want. The FDA and big food companies can never really agree on what to do here: changes take forever and we tend to get lowest-common-denominator solutions influenced by the considerations of the food industry, rather than by the genuine interests of consumers. Sage is just getting started. Our ultimate goal remains what it’s always been: giving people better interactions with their food data. There’s a lot of work to be done. Sound interesting? We’d love to chat: info@sage.is. design, technology, and other things too. building @pinto_hq 🍓📊adjunct/grad @ITP_NYU.